WATERTOWN, Mass. 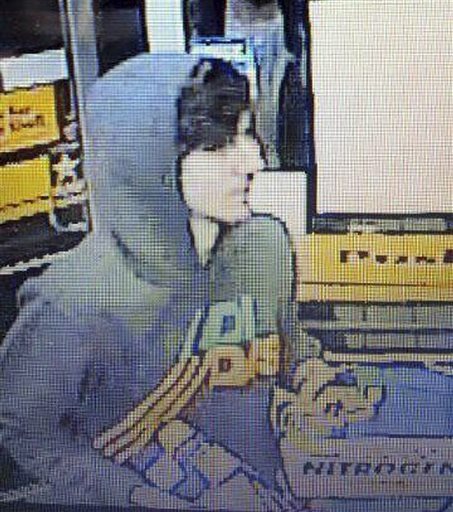 — A U.S. law enforcement official and the uncle of the suspects in the Boston Marathon bombings are confirming that the name of the second suspect is Tamerlan Tsarnaev, the older brother of Dzhokhar A. Tsarnaev, 19. Tamerlan Tsarnaev was killed in a gun battle with police in Massachusetts overnight. Three law enforcement officials, speaking on condition of anonymity due to the sensitivity of the ongoing investigation, confirmed the bomb suspects were brothers. One of the officials and the men’s uncle confirmed the identity of Tamerlan Tsarnaev. The uncle, Ruslan Tsarni of Montgomery Village, Md., told The Associated Press that the men lived together near Boston and have been in the United States for about a decade. They traveled here together from the Russian region near Chechnya.